The first two variants of the three Russell Westbrook editions of the 28th Air Jordan kick looks very impressive and the third one is very intriguing as well. 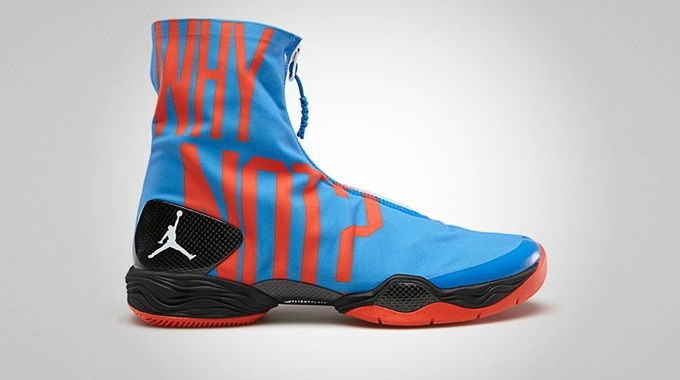 Now available in the market is the Air Jordan XX8 “Why Not?” edition of the sneaker. The kick is also themed with the Oklahoma City Thunder, but as the name itself suggest, this one bears the phrase “Why Not?” on the shroud of the kick. This one is available on a limited basis so make sure to grab your own pair now!